Japanese politicians have big new offices to move into. How long will they all be there? Talk among political parties in Japan of cutting the number of Diet members doesn’t seem to have stopped the building of spacious new offices for members of the upper and lower houses. 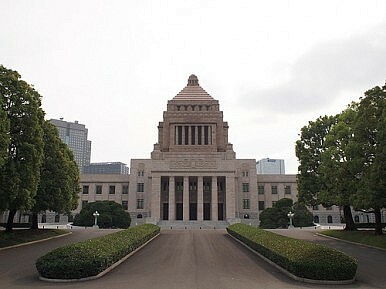 Worth 117 billion yen and three times the size of the existing offices of Japan’s parliamentarians, the new buildings will welcome their intended users from this weekend, according to media reports. At 100 square meters each, it’s safe to say that they're bigger than the average Japanese family’s entire living space. Pledges to reduce the number of Diet members by 120 (Democratic Party of Japan) or by 222 (Liberal Democratic Party) would leave the Diet members’ gleaming new office buildings well below full occupancy, since rooms have been built for all 722 members. But presumably it must have seemed an excellent use of taxpayers’ money at the time rather than a symbolic indication of the political will to cut down on the number of Diet members and the costs associated with them.